We all know the spiel about successful CEOs—they read an average of 60 books a year (or 70… or 80, depending on who you ask). But as a salesperson, how many are you reading? Learning the art of sales prospecting is a marathon—not a sprint—and the best way to get there is by learning from the pros. Here are 11 sales prospecting books to add to your reading list this year. Trish Bertuzzi is the chief strategist at The Bridge Group, a company that's helped more than 200 B2B companies dominate their sales targets through strategy and metrics. This book has a clear focus: teaching companies that need new customers how to get them through sales development. The success of any B2B company falls on how effectively a sales team is able to land new prospects—and get them into the pipeline. Bertuzzi shows you how to do just that by growing and nurturing your own sales team. Gaining a complete understanding of sales development. Rackham is the founder of Huthwaite International, one of the largest sales training and negotiation course providers in the world. He’s worked to help companies such as IBM, BP, and British Airways understand buying behavior and sales strategy. An oldie, but a goodie. SPIN Selling was written in 1988, but a lot of the core lessons about identifying your customers’ needs are still relevant in today’s market. Rackham focuses on the idea that large-scale sales require different strategies than small-scale sales. The book will show you how to figure out what your customer needs, limit objections from prospects, and close more effectively. Learning how to adapt different strategies for small and large sales operations, and also how to scale them. Jeb Blount is the CEO of Sales Gravy, an online community that has trained more than 360,000 sales professionals. 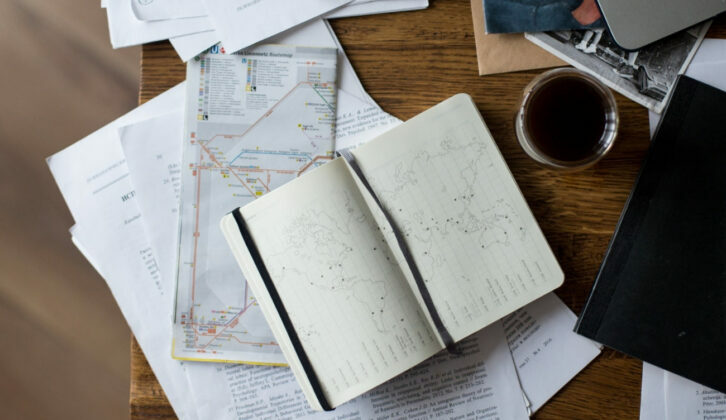 Fanatical Prospecting is a practical, clear guide on why you should always have prospecting as your number one sales priority. Blount says the biggest killer of any business is an empty prospect pipeline. It’s also why sales teams that don’t consistently prospect end up failing. Inside the book is a step-by-step guide on how to find and fill your pipeline with qualified prospects. Packing your prospect pipeline so full of leads your team won’t know which one to call first! Mark Hunter is the founder of The Sales Hunter and regularly gives and keynote addresses to companies like Novartis, Mattel, and Lenovo. Who says you need to throw out the old when you’re bringing in the new? Hunter’s book merges new strategies with proven practices so you can bring newfound confidence to your prospecting. It’s filled with advice on emails and telephone scripts, when to make phone calls, and how to make the most of your referrals. Keeping a healthy number of prospects in your pipeline through a mix of traditional and modern tactics. Marylou Tyler is a Fortune 1,000 consultant and sales trainer, while Jeremy Donovan runs sales strategy at Gerson Lehrman Group (not to mention being the author of the bestseller “How to Deliver a TED Talk”). Instead of focusing on all aspects of prospecting, Predictable Prospecting hones in on how B2B companies can get big-ticket prospects in their funnel. It lays out how sales reps can create new opportunities (consistently). Plus, there’s a section on how to land high-revenue clients. How to find predictable high-revenue prospects and weed out the unreliable ones. Mike Weinberg is a sales consultant, coach, and founder of The New Business Sales Coach. Contrary to what a lot of people say, Weinberg states that while repeat customers are great, new customers are where your business will really boost its bottom line. And for that, you need a formula for prospecting, developing, and closing deals. Enter… New Sales. Simplified, which shows you what most salespeople do wrong and gives you an easy plan for how to fix your prospecting strategy. Coming up with a formula to find prospects and develop a relationship that works for not only you, but your prospects too. Mark Roberge is an advisor to HubSpot and was formerly the Chief Revenue Officer of the company’s Sales division. Behind every great company is a great team. One of Roberge’s core messages in The Sales Acceleration Formula is that a great sales team starts at the hiring stage. And if a sales member isn’t right for your team, you should move on. It’s also got a killer section on how to apply data, technology, and inbound selling to every aspect of your sales process. Oh, and it’s endorsed by SPIN Selling author, Neil Rackham. Building a great sales team that knows your end goal. A team that will battle in the trenches with you. Zig Ziglar has worked with multiple Fortune 500 companies to improve their leadership and sales operations, as well as their employees’ personal growth. Not all prospecting techniques can be boxed up into tactics and data. Ziglar’s book looks at how to use persuasion to close deals with prospects. How can you convince someone to make a purchase? Do your clients truly believe that you're looking out for their best interests? Here are some foundational methods that every salesperson should know to overcome the basic reasons behind why people don’t buy. Beginners in sales, or just salespeople who want to learn how to convince people to buy, as well as deal with challenging and demanding prospects. Tony J. Hughes is a sales consultant, keynote speaker, as well as a top LinkedIn B2B sales influencer. This book is a prospecting one-two punch. Specifically geared towards B2B companies, Combo Prospecting aims to decipher some of the more complex pieces of the modern sales environment. If you’ve ever struggled to merge traditional sales strategies with modern tools like social media and Linkedin—this one is for you. Understanding how traditional and modern prospecting techniques work best if they’re merged. Dale Carnegie is a pioneer of the self-improvement genre; you’ve probably heard of this book, even if you haven’t heard of him. The oldest book on our list—written in 1936, in fact. Although this book isn’t specifically about prospecting, it’s an ultimate guide on how you should communicate with people. If you’ve ever struggled with dealing with prospects in difficult situations, Carnegie will show you the way. By using language, you’ll learn how you can change your prospect’s opinion—without forcing them to. “People are more likely to accept an order if they had a part in the decision that caused the order to be issued." Building and maintaining amazing relationships with your prospects. Jill Konrath is a speaker and sales strategist whose client list includes IBM, Microsoft, Accenture, Staples, and Hilton. Salespeople: do you know what you are to your customers? Do you know what you represent to them? Yes, these are odd questions to start off a book a review with, but if you’re going to read this book—prepare yourselves. It’s not going to be pretty. Konrath says that, to buyers, the average salesperson is nothing more than someone pushing products onto them without adding any value. This book aims to help any sales rep adapt to their surroundings. It can also guide you to adapt to individual prospect and new sales tools—quickly. Learning to stop worrying about your own sales outcomes and focus on your prospect’s rollercoaster customer journey. Make prospecting your priority, not an afterthought. The authors have spoken: prospecting should be one of, if not your main priority as a salesperson. Cheesy sales tactics and cold-calling without solid strategies just won’t cut it in today’s sales world. (Not to mention that most sales reps hate coming across as pushy, second-hand car salesmen). But the good news is, once you learn the best ways to prospect, you’ll be able to embrace it. Soaking up these words from these sales prospecting books will give you the tools to build up the quality and consistency of your own sales funnel. Speaking of which, you can learn more about sales funnel management here. 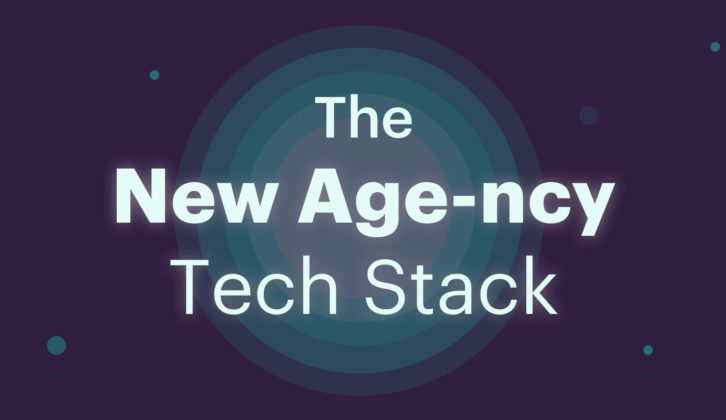 With thousands of tech options out there, how do you know which tech stack is right for your agency? This post will help you figure that out.